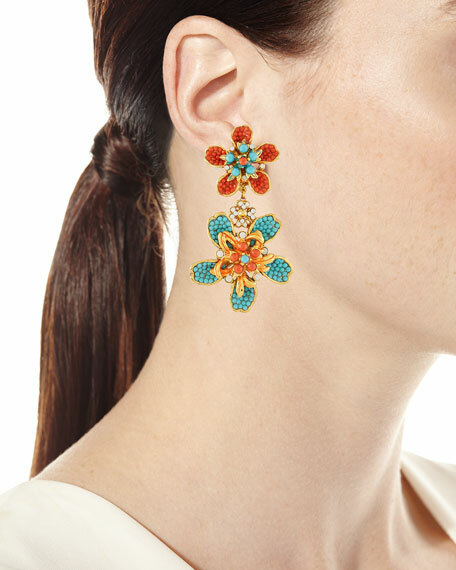 Jose & Maria Barrera double flower drop earrings. 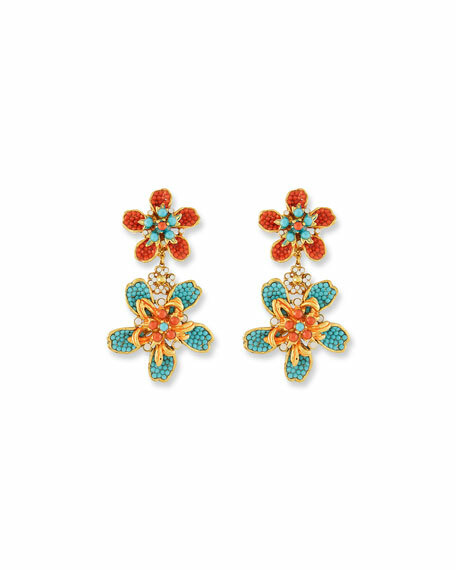 Two turquoise and coral floral-shaped drops. For in-store inquiries, use sku #2508957.